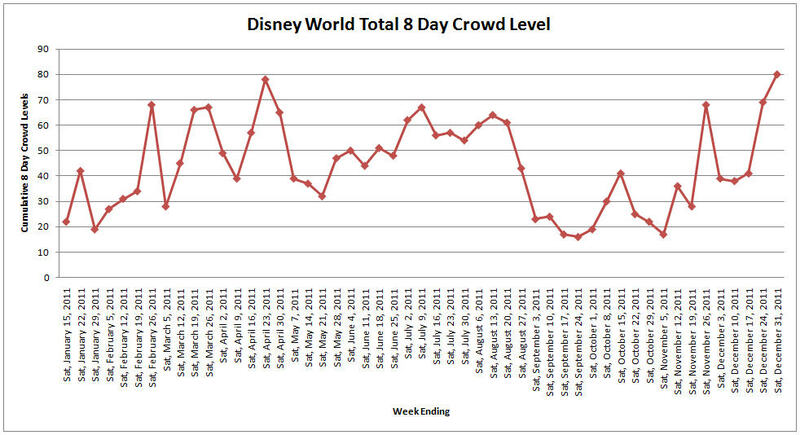 According to TouringPlans.com (as of 1/4/11) the least crowded week at Disney World is 9/17 – 9/24. Followed closely by any week the rest of September. The last week of January is also expected to have very low crowds and short wait times. 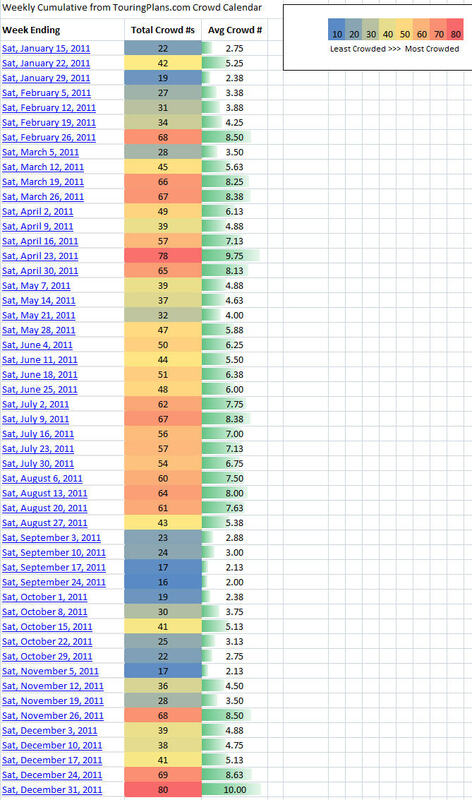 There are of course a great many factors when determining when to go to Disney World besides simply crowd levels but I thought this was interesting data and some people might agree so I thought I’d share. Click on an image to view the image larger. TouringPlans.com updates this data as needed – usually when Disney changes operating hours and of course these are only estimates (but TP is really, really good at it) so subject to change for multiple reasons. Should you really be posting subscription-required data on your blog? This is not directly the data you get from them, it’s my use of the data. A grey area I admit but I give them full credit and full props for their great data. I’m simply showing how I use this data – in a different form than they offer it.